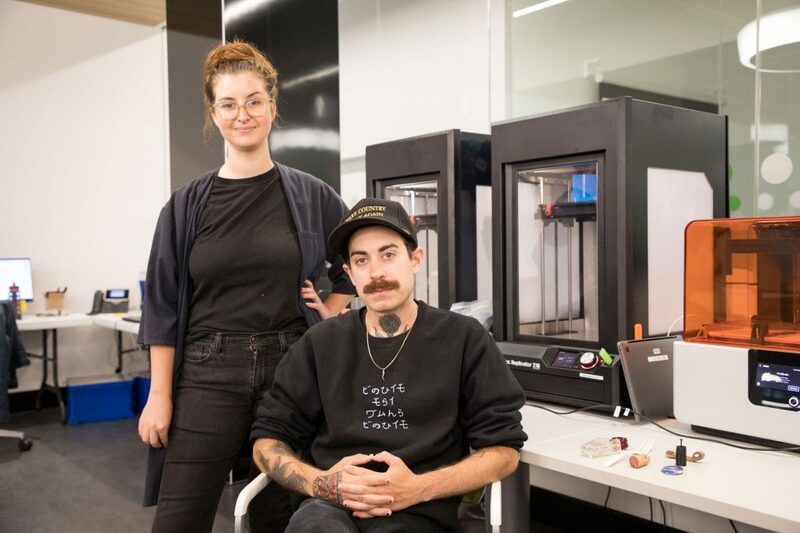 A Librarian from the University of Arkansas and a visual artist from Montreal will spend two weeks working on a project in the MRU Library Maker Studio that is meant to conjure questions with no definite answers—It’s all part of the fun. What is art? What is art worth? How should we access it? These are some of the questions Marianne R. Williams and Frédéric Bigras-Burrogano hope attendees of their upcoming exhibit ponder. The two make up Long Distance Call, a collective that is a member of the Wreck City artist residency. 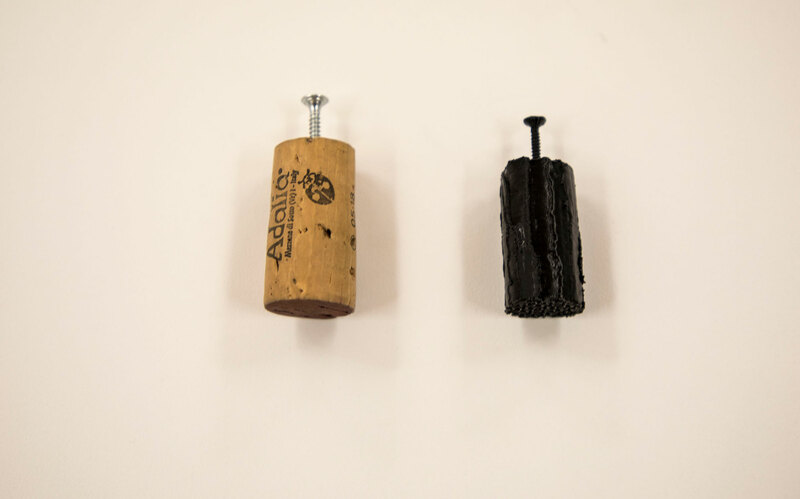 The Wreck City Public Exhibition kicks off in Marda Loop this weekend and the duo are busy taking found objects and recreating them using equipment in the Maker Studio. 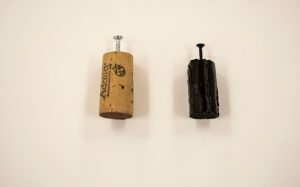 A corkscrew and empty perfume bottle found in the streets of Marda Loop, and a fork from a restaurant in the area are either being reproduced with the help of a 3D printer or revamped with a laser cutter. Williams and Burrogano invite members of the community to attend the exhibit, engage with this found art, and offer money or exchange for a piece to take home. “People can offer a price, an item of their own to trade, or simply answer a few questions to keep a piece,” says Williams who explains that it’s not about the money, it’s about allowing the public to question and consider the process of bartering and how art is consumed. It’s also a conscious way to make art accessible to everyone. Wreck City was founded in 2013 as an independent collective that organizes experimental contemporary art exhibitions in pre-demolition spaces throughout Calgary. This multi-venue exhibition, which takes place July 27 – August 12, falls in line with this mandate as the Long Distance Call exhibit will be hosted at a site in Marda Loop that will soon be an area of construction where a 70-unit residential and retail building will be located. Williams and Burrogano say the exhibit is meaningful in that it allows their work to be part of a larger conversation around gentrification, conservation and how we respond to space surrounding us. They acknowledge that a project like this wouldn’t be possible without the support of the development company that’s allowing the artists to utilize the area before construction begins and a key resource close by that gives them a space to fully realize their vision. “This project couldn’t have been possible without this Maker Studio. It’s the best one in the city and everyone here has been so welcoming,” says Burrogano. Maker Studio Specialist, Kerry Harmer graciously receives the duo’s gratitude but makes a point to acknowledge how she’s able to push the boundaries of the year old space with diverse projects. At the end of this week, Burrogano will go back home to Montreal and Williams will head to Fayetteville where she works as a Librarian-in-Residence at the University of Arkansas. Williams has conducted research on information literacy, diversity, and inclusion. The Long Distance Call exhibit will play off the standard garage sale model and will take place at 2240 33 Avenue SW, this Friday, July 27 at 7pm. Money collected through sales will be donated to an organization in the community.